My first hours in New Zealand are a total blur. I landed in Christchurch to the news that my bag hadn’t made my last connection through Sydney. After filling out a bit of paperwork and clearing customs I sped straight to a hotel room, where I found myself popping a celebratory sparkling wine only to pass out about 20 minutes later – before 7pm no less – leaving Tom, my travel companion on this journey, to finish the bottle by himself (always a trooper, he didn’t complain). I awoke a good fourteen hours later, at which point Tom fed me some hearty bacon and egg pie, gave me a short tour of his hometown via car, and ferried me quickly to the next available bed. Jetlag hit me hard on this trip, and it would be several more days before I found myself waking after anything less than twelve full hours of sleep. 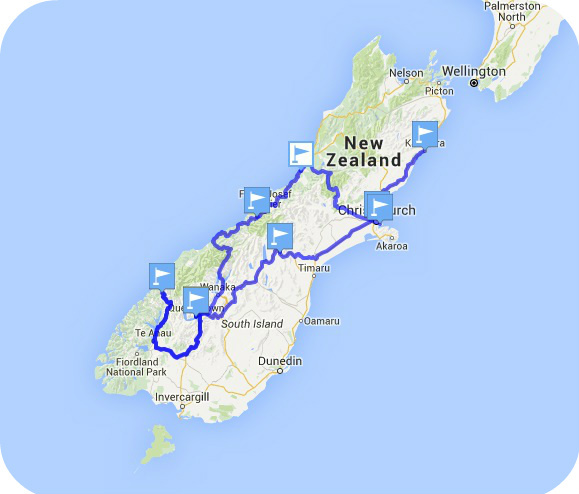 Our plan was to see as much of the South Island as possible over my brief 2-week break from school. Tom’s parents had graciously offered us their vehicle, and after much research and conversation Tom and I came up with a week-long itinerary that in no way covered all that this island had to offer, but did give us a glimpse at some of the more famous and spectacular New Zealand scenes. August is winter in New Zealand, so we were limited to staying on the main roads not affected by seasonal snows (though we would soon learn that there was much to see from the car). The forecast as we headed out on that first day was not good: rain and snow was predicted to fall at every location, on every day of our trip. Determined to see what we could, we set off anyway for the first leg of our journey and headed southeast out of Christchurch towards Lake Tekapo. The sky cleared as we made our way across the Canterbury plains and into the mountains. 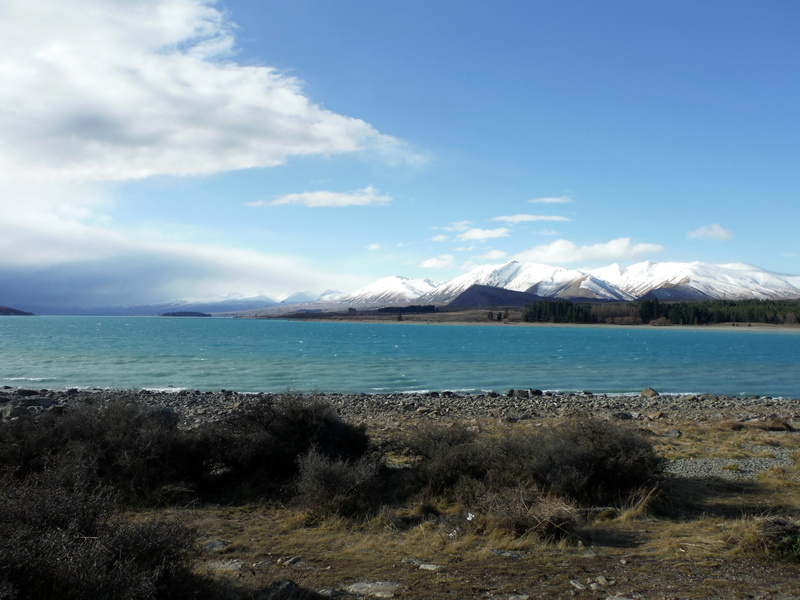 Lake Tekapo would be my first of many crystal-colored lakes in New Zealand, and I was immediately awed by the deep blue tones of the water as we pulled up to the beach. There have been many moments in my life where I’ve been lucky enough to view a scene and know my camera could never sufficiently capture it. 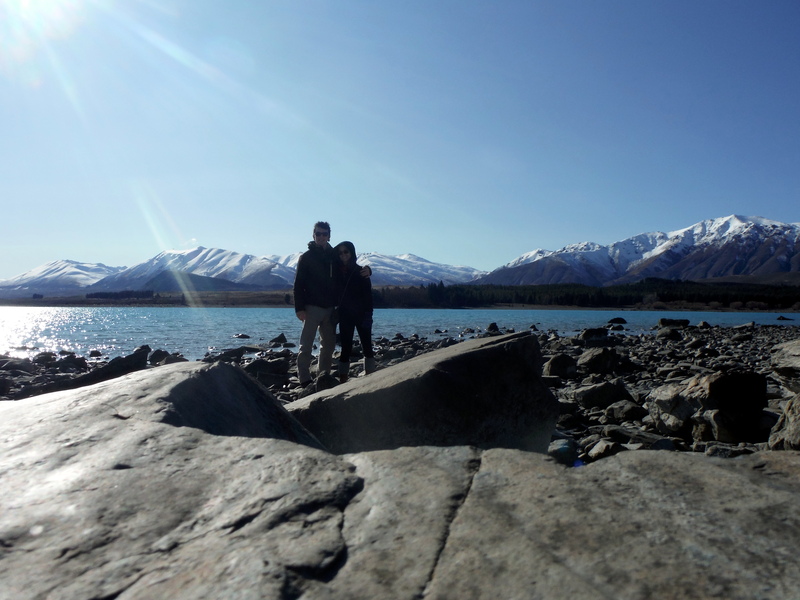 Standing on the shore of Lake Tekapo was the first time on this trip that I encountered this feeling – though I knew even then that it wouldn’t be the last. The sky was blue above us as we took in the scene, but a howling wind and some dark clouds ahead hinted that the promised bad weather was moving in just as we arrived to town. Outside of the lake, the main attraction in Tekapo are hot pools, and after confirming with the hotel that they were open late, we decided to let the storm pass before we headed out to warm up. A few hours later the rain died down, and we wandered to the hotel lobby to request the free shuttle that ferried tourists between town and the hot pools. I knew it was over by the tone on the lady’s voice as she spoke with the shuttle on the phone – the pools were closed on this night of all nights. Apparently they were scheduled for a cleaning, but our hotel didn’t know. Apologetically she encouraged us to go stargazing. Sometimes – she told us – the southern lights were visible from a certain spot in town. We thanked her for her suggestion, and tried our best to follow the directions she had given us, but alas – even if we had found the golf course she raved about, the night was still cloudy from the afternoon storm. There wasn’t a star in the sky. And there weren’t any streetlights either. I was pleasantly surprised by the darkness in Tekapo. While it made for some tricky navigating on this moonless night, it was clear as we wondered the residential streets of the town that this was a place that valued their night sky. 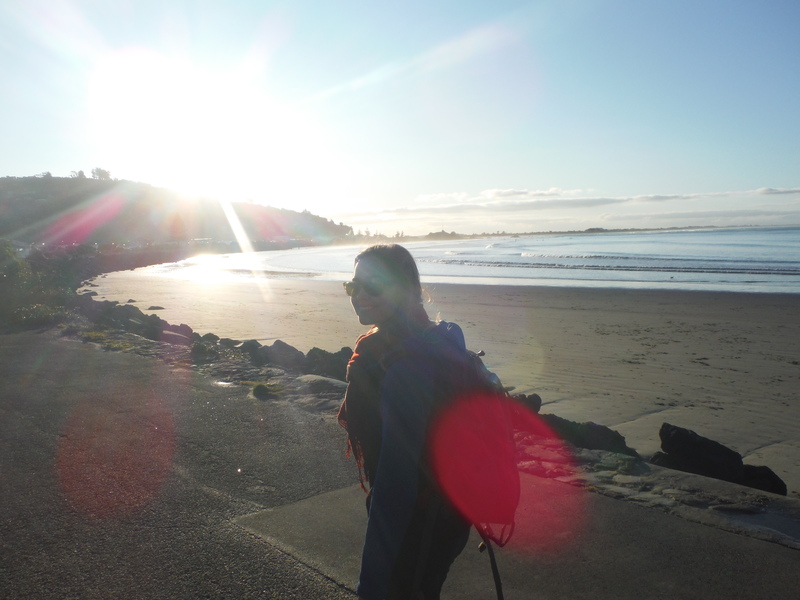 Many times while traveling in New Zealand I was awed by the pervasive culture of conservation. Even while working in the National Parks and living in the communities that relied on them, I often found a disconnect in the US between saying we love our natural resources and actually putting in the work to protect them. It was refreshing to be in a town that not only saw a dark sky as a resource, but really put in the effort to protect it. 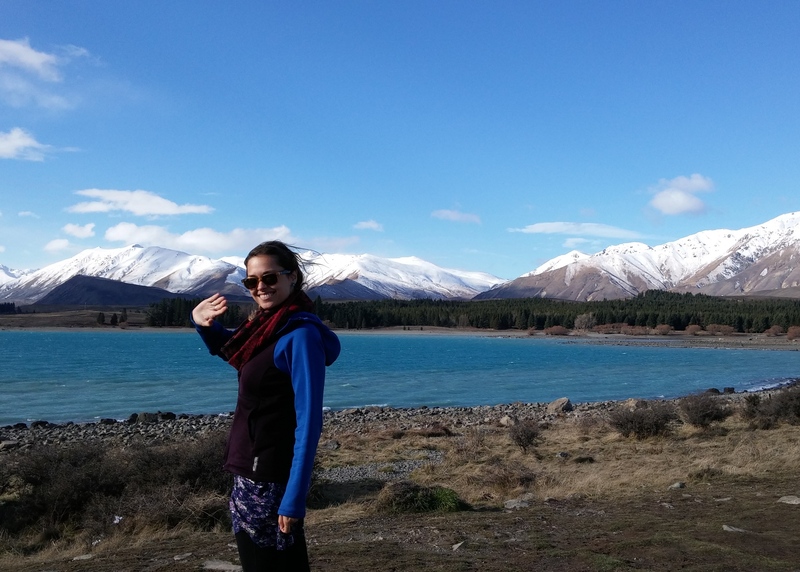 So no stars and no hot pools – was Lake Tekapo a bust? The next morning we awoke to the clearest, bluest sky I’ve ever seen. 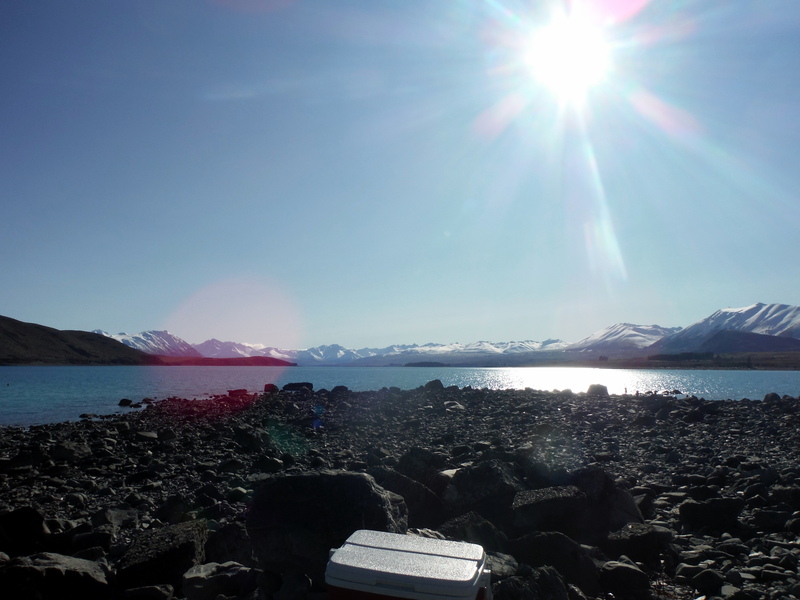 We set up our camp stove on the rocks by the lake and made ourselves breakfast on the edge of the crystal water. Already it was time to move on – there was still so much to see. But I’d never before enjoyed a breakfast so scenic. Lake Tekapo a bust? …You tell me.